It’s October, which means the leaves are changing, baseball fans are gearing up for the postseason, and the Oscar race is heating up. At this time of year it’s always interesting to look back on past Oscar contenders to see which films have held up and which have been forgotten. Twenty years ago in 1994 the competition for Best Picture was famously close between Pulp Fiction, Forrest Gump, and The Shawshank Redemption, but these were not the only notable films of that year. A few films had a profound influence on not only the culture of the 90’s but of film culture overall. With two decades of films having followed these masterpieces, it’s only more apparent what an important year 1994 was in film. In 2002 international graffiti artist Banksy painted one of his most famous works near London’s Old Street tube station, taking Pulp Fiction’s Jules Winnfield and Vincent Vega (Samuel L. Jackson and John Travolta) in an iconic pose (side by side with handguns at arm’s length) and replacing the guns with bananas. The fact that Banksy considered this scene recognizable enough that the average passerby would be in on the joke is an indication of how entrenched this film has become in pop culture. Watching Pulp Fiction, director Quentin Tarantino’s magnum opus, is a rite of passage for any self-respecting film buff. Pulp Fiction’s poster is as iconic as the film itself, styled like the ragged cover of a pulp magazine and featuring Uma Thurman reading (what else but) a pulp magazine. A pistol and a pack of cigarettes lie beside her on the bed. The poster reveals Pulp Fiction’s character; self referential, violent, and sleazy. The film’s narrative is non-linear with segments split between boxer Butch Coolidge (Bruce Willis) and the two incompetent hit men Winnfield and Vega, and colored by Tarantino’s masterful dialogue. Viewers are drawn in by the natural conversations that flow between characters; just take the classic opening scene in which Jules and Vincent chat about the “Royale With Cheese”. The result is that characters have an extraordinary amount of depth and the film is endlessly quotable. Not to mention this was the first independent film to make more than $100 million at the box office, helping to drive an independent film boom in the 1990s. Pulp Fiction won Quentin Tarantino an Oscar for Best Original Screenplay and cemented his place as one of the most iconic filmmakers of the ‘90s and beyond. The Shawshank Redemption, written and directed by Frank Darabont from a short story by Steven King, is currently the highest rated film of all time on IMDB.com. Despite barely recouping its budget of $25 million at the box office; the film has lived on through rentals, home video sales, and cable television. Darabont was one of Steven King’s “Dollar Babies,” a term that refers to a group of student filmmakers who were given permission to adapt one of King’s short stories for one dollar. He also went on to adapt Steven King’s The Green Mile and The Mist to much critical acclaim. 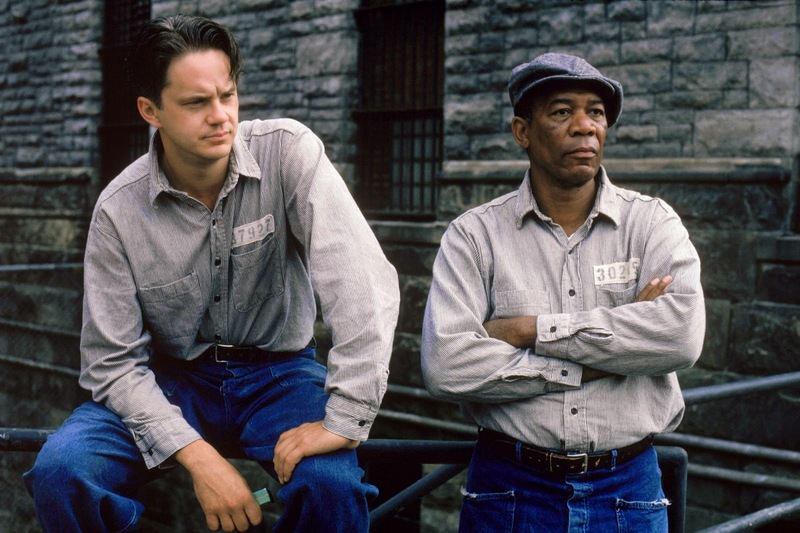 The film stars Tim Robbins as Andy Dufresne and Morgan Freeman as “Red” Redding, who serves as the film’s narrator. Andy was wrongly convicted of murdering his wife and sentenced to two consecutive life sentences at Shawshank State Penitentiary. Because of his background as a banker Dufresne is singled out by the prison warden who forces him to become involved in a money laundering scheme. The conflict centers around the typical prison film clashes between inmates and guards, but what Shawshank brings to the table is a raw realism, moments of gut-wrenching emotion, jaw dropping plot twists, and one of the most satisfying endings of all time. The Shawshank Redemption is not only watched, it is experienced. Forrest Gump cleaned house at the 67th Academy Awards, taking home 6 Oscars including best picture, best director, and best actor. The film centers on the dim witted and innocent Forrest (Tom Hanks) and his journey through the civil rights movement, the hippie era, the Vietnam War and beyond. The film jumps between the present day – where Forrest sits at a bus stop telling his story to anyone who will listen – and the past with flashbacks throughout his life as he narrates his fantastical adventures. 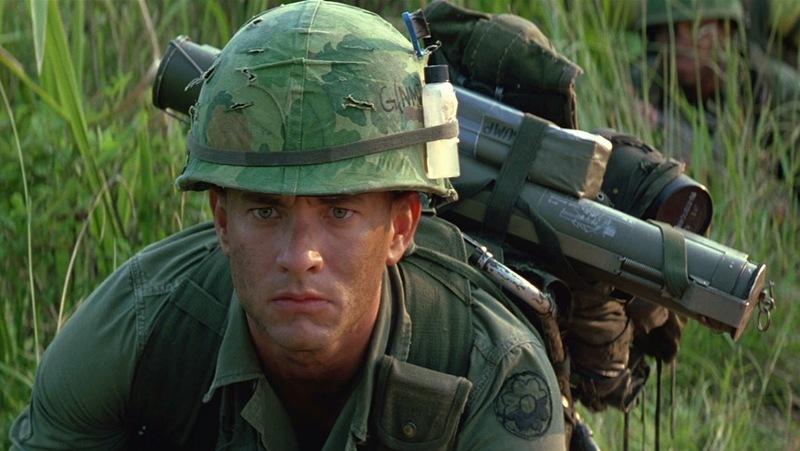 Forrest Gump is the story of 20th century America, and Forrest is our guide. The film’s narrative is essentially a series of episodes in which Forrest stumbles through some of the most important events in America’s cultural history. Despite his intelligence being considerably below average (some readings of the film consider Forrest to be an autistic savant) he lives a remarkable life, in which he meets two presidents, plays college football and becomes a ping-pong star, and receives a Medal of Honor. This film earned the Oscar for Best Visual Effects mainly for scenes where Forrest is planted into actual archival footage. The film used visual effects and sound-alike voice actors to manipulate the footage so that Forrest interacts with figures like JFK and John Lennon on screen. Meanwhile Forrest never seems to change, maintaining his endearing naivety and innocence. Forrest’s indomitable spirit and an incredible performance from Hanks make this character timeless and memorable. Forrest Gump will stop being popular when yelling “Run Forrest, Run!” stops being funny (NEVER). 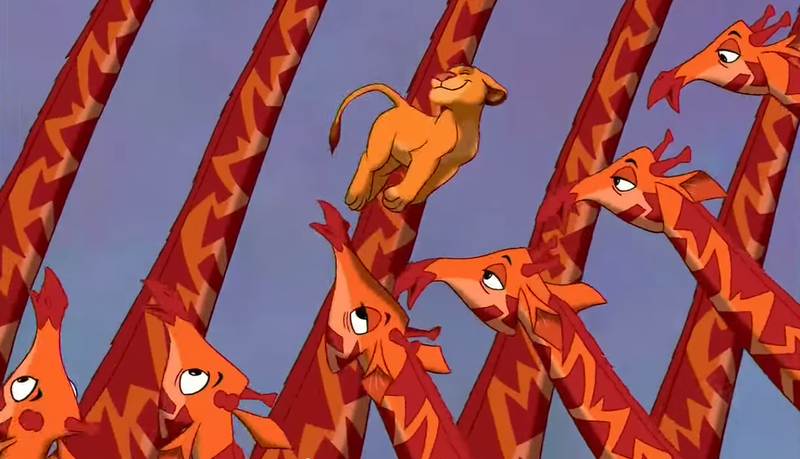 The Lion King is arguably the best film to come out of the “Disney Renaissance” of the 90’s, a period during which Disney revitalized their animation studio and ultimately produced ten of their best known films, including The Little Mermaid (1989), Beauty and the Beast (1991), and Aladdin (1992). This was the first Disney animated feature with an original story, which draws from Shakespeare’s Hamlet and the biblical stories of Joseph and Moses. After the death of his father King Mufasa (in a scene sure to give children a lifelong hatred of wildebeests) the young lion Simba goes into self-imposed exile from the Pride Lands to which he is the heir. He is taken in by a meerkat named Timon and a warthog named Pumba who live by the motto “Hakuna Matata”, a phrase which has become entrenched in the American lexicon and means “no worries”. Ultimately Simba must return to liberate the Pride Lands, now a wasteland under the negligent rule of Simba’s malevolent uncle Scar, brilliantly voiced by Jeremy Irons. The environment of The Lion King was heavily influenced by Hell’s Gate National Park in Kenya, where the animators took a research trip before beginning production. Elton John and Tim Rice wrote five original songs for the film, receiving an Oscar for “Can You Feel the Love Tonight” along with nominations for “Circle of Life” and “Hakuna Matata”. Hans Zimmer won a second Oscar for his original score. The Lion King’s beautiful animation, memorable songs and epic story have made it an enduring Disney classic. Clerks is an outlier on this list in that it was not did not win any Oscars or pull in impressive figures at the box office (although it did make $3 million, which is a huge success considering its budget of only $27,000), but it launched the career of writer/director Kevin Smith and has become a cult classic. This black and white comedy was shot in neighboring convenience and video rental stores where Smith used to work; the film is based around those experiences. 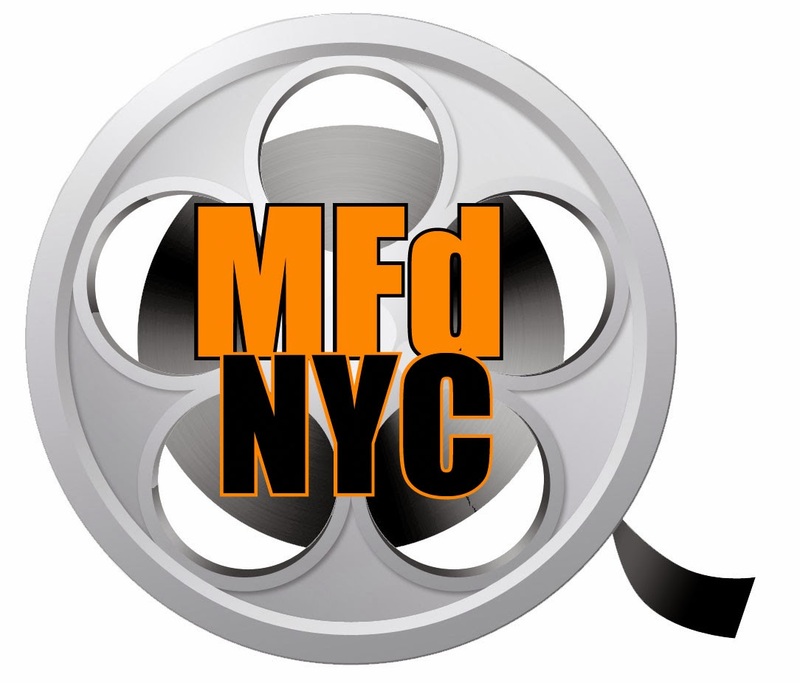 Short vignettes involve main characters Dante (Brian O’Halloran) and Randal (Jeff Anderson) interacting with customers, chatting about movies, and generally slacking off. The most memorable scene is one in which Dante, not wanting to miss out on playing hockey with his friends, invites them to play on the roof of the store. The film sets a tone of dark, irreverent comedy that flirts with pure shock. For example the original cut of the film ended with a thief coming into the store, murdering Dante, and taking money from the register. Ultimately Smith removed this scene from the film, but it can be seen on Youtube and on the 10th anniversary DVD. Clerks introduces the characters of Jay and Silent Bob (Jason Mewes and Kevin Smith) who appear in eight of Smith’s films overall. These films are known as the Viewaskewniverse, a universe of films named after Smith’s production company, View Askew Productions. Smith’s character, true to his name, hardly ever speaks, but when he does it is usually to deliver a laser beam of insight to a character at just the time when they need it most. If nothing else the film is remarkable for launching these two beloved characters and the franchise in which they star. 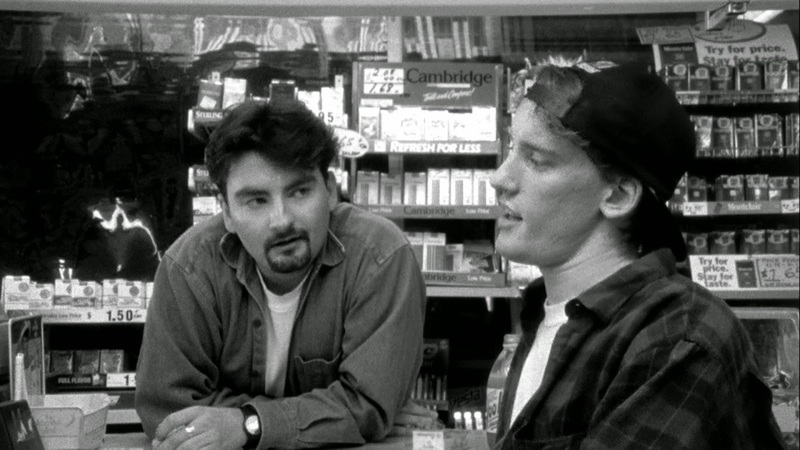 Clerks is an icon of ‘90s slacker culture and an indie film legend.